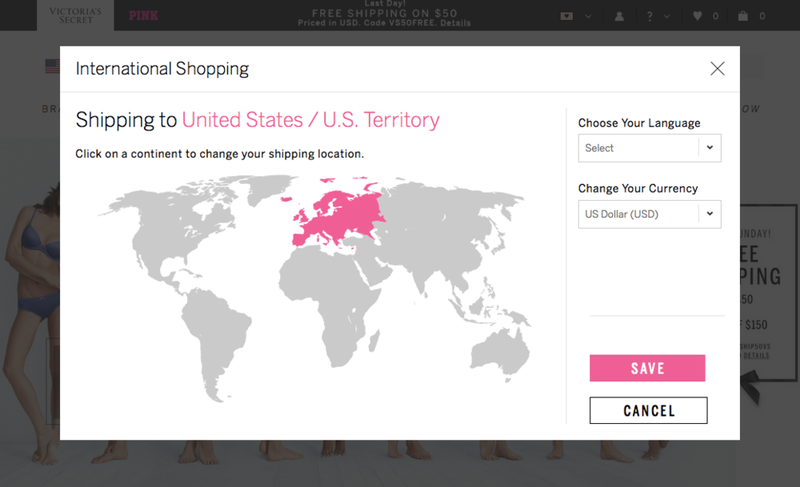 Because Victoria’s Secret was expanding their international business, redesigning their experience for selecting language, shipping and currency options became a priority. My job was to apply user centered design principles to create an easier and more delightful customer experience. To begin, I held a kickoff meeting with my team and all of the relevant stakeholders. Whenever we’re presented with a request, our goal is always to uncover the underlying problem that we’re trying to solve. We ask a lot of questions to understand what the business is trying to achieve, and we do our best to surface any technical constraints early on in the process. After conducting competitive research, I ran a design studio with my team including front and back end developers, the product owner and product analyst. In design studios, we work hard to turn off the critical parts of our brain so that we can free our imaginations and new ideas can surface. We keep the focus on the customer. Ultimately we landed a few directions that were worth further exploration. I worked through the ideas generated by the team and created prototypes in order to present the best of our ideas to leadership. Through this process we narrowed our options down to one direction that we would take into usability testing. We began with formal usability, testing 13 participants over 2 days on a mobile prototype that I built in Pixate. We wanted to make sure that customers wouldn’t have any trouble moving through the experience, and we wanted to validate our assumption that an experience based on progressive disclosure would be less frustrating. Both of these ideas tested positive, but we found that some of our participants did not initially look to the footer where we had put the selectors. 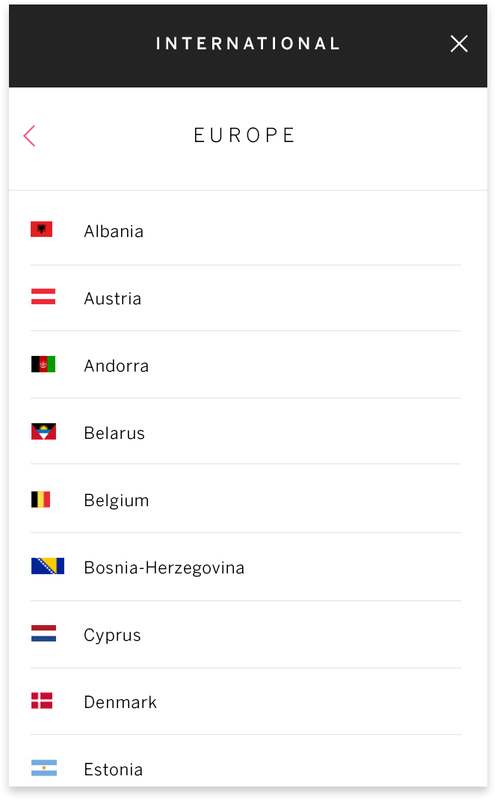 We decided to conduct a one-tap, remote usability test with international customers to see if this group would have the same problem. 60% of 60 participants went to the footer first, so we felt confident to move forward with this design. In the development phase of the project, I worked closely with developers, ensuring that the visual design was fully captured in the code. The result is an design that puts the customer first, reduces friction and elevates the experience.